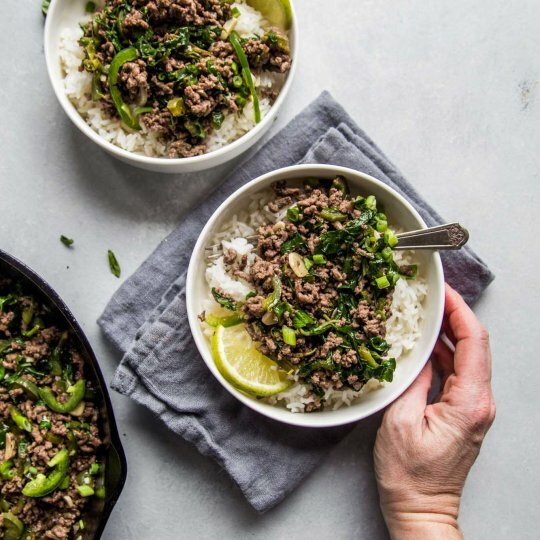 30-Minute Thai Beef Stir Fry with Basil & Chiles will be on your dinner table in a hurry. 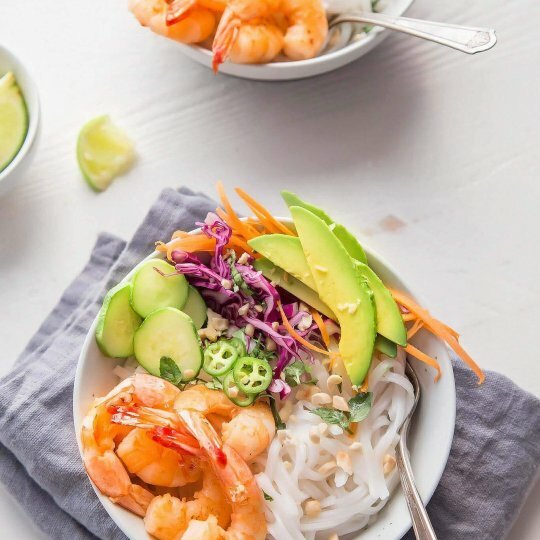 Serve it over rice for a wholesome meal that will bring some excitement to your weeknight cooking routine. 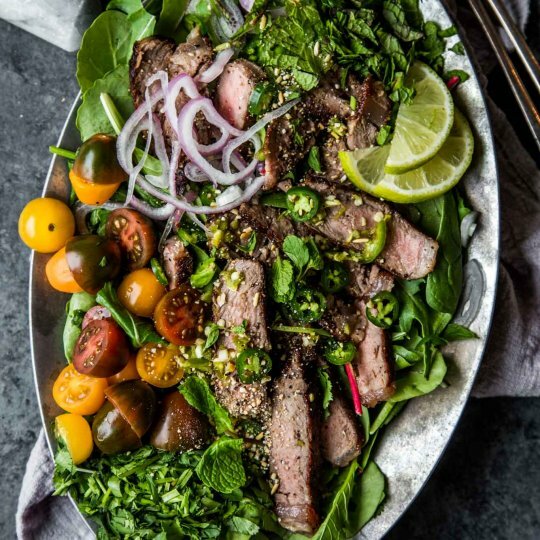 30-Minute Thai Beef Salad is tangy, spicy, amazingly delicious yet deceptively easy to make. Topped with toasted rice powder for a bit of crunch. 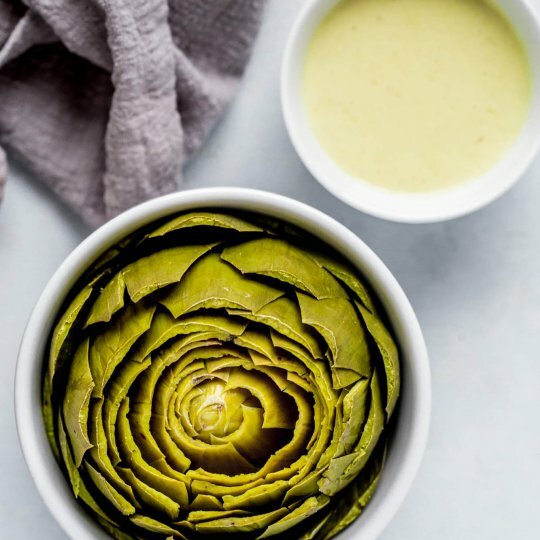 It’s a healthy salad that tastes so decadent! 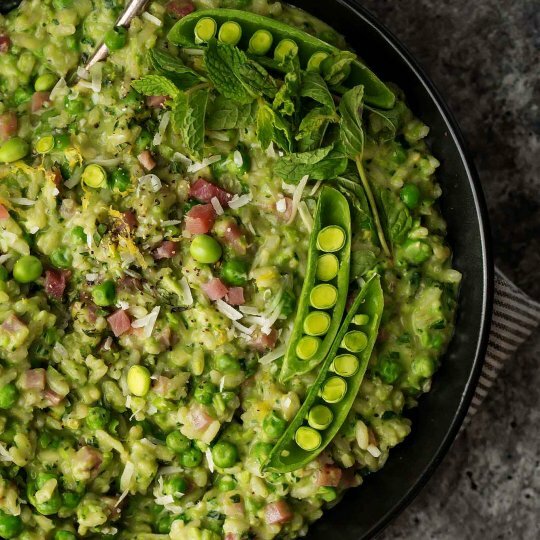 Pea Risotto with Mascarpone, Mint and Prosciutto is rich, creamy and totally decadent. 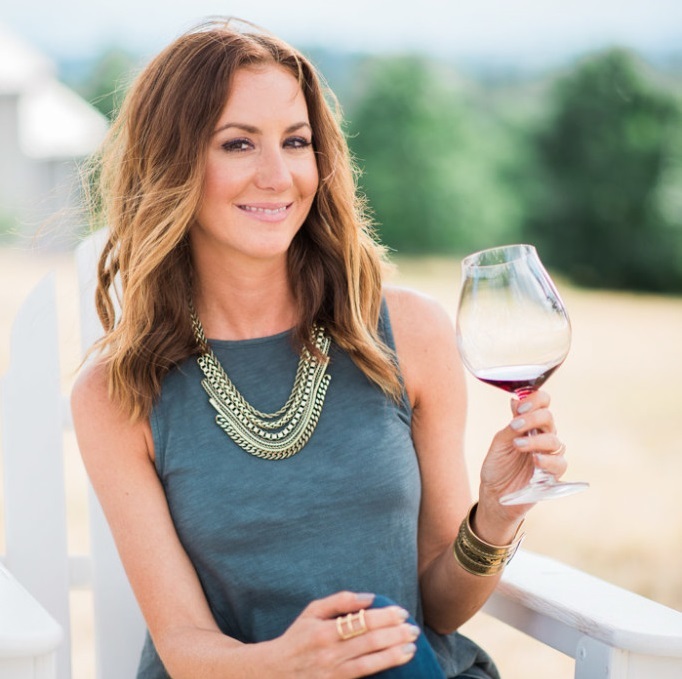 Grilled Swordfish with Tangy Rosé Wine Mayonnaise will take your grilling to the next level. 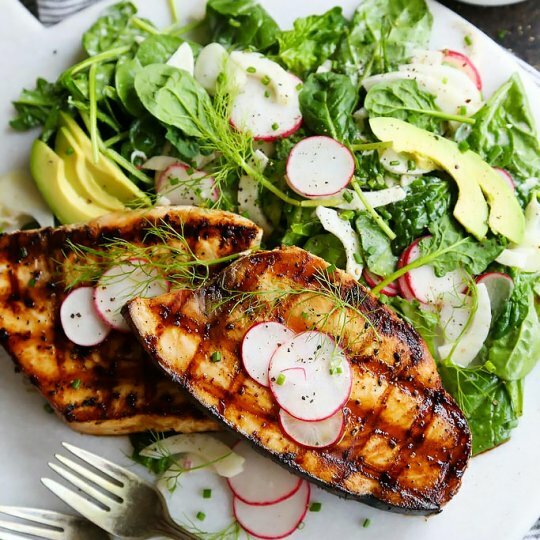 Grilled swordfish is topped with rosé wine mayonnaise that is also turned into a creamy vinaigrette used to dress a simple & refreshing salad of fennel, radish and avocado.